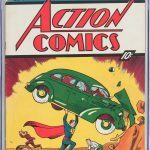 What does the future hold for comic book collecting? 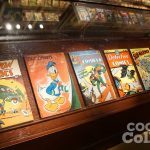 While comic book fans descended on New York City for NYCC this past weekend, we had our own little comic show here in northern Virginia. 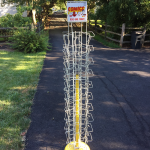 The Shoff Show comes around every few months, and I've been going to it fairly often lately -- I'm a sucker for the bargain bins. 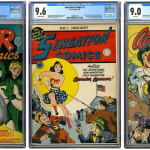 There is one dealer who brings dozens of long boxes with comics priced from 75 cents to five bucks. 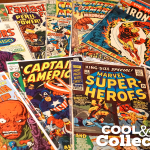 This is where … [Read more...] about What does the future hold for comic book collecting? 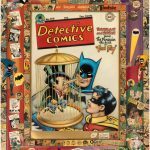 I have been looking for a vintage comic book spinner rack for years -- I have placed bids on eBay auctions only to lose out at the last minute or passed them by entirely due to the massive shipping charges these usually command. 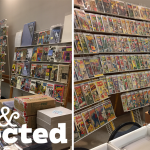 Last week, I came across a spinner rack listing on Craigslist that was five days old, so I was already setting myself up for disappointment when I sent … [Read more...] about Check out that rack!